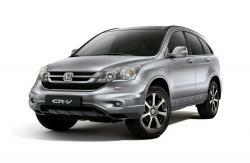 Correct Wheel Sizes, PCD, Offset, Rims and Tire specs for Honda CR-V series. I drive a crv 2.2. I have just found out that the tyres on my car size 245/45 19. I hear rubbing sounds from the front wheels anytime am turning my car. All the rims are honda ones. Is this okay? It sounds like its not a problem with the tyres: I used to run the same option on my 2009 CRV until I discovered the tyres are actually 8.63% undersized. You,ve probably noticed your speedo is miles out and so the only way to correct this issue was to fit larger tyres. I now have Wrangler 255/55/R19 fitted and they've completed 45,000 miles and still have 5.5 mm tread. 2008 Honda CR-V 235/70R16 with a 7.5x16 ET 40 Rim? Will a honda pilot snow tire and rim, size 235/70 16 with a 7.5x16 ET 40 rim with 5x114.3 bolt pattern fit my 2008 honda crv lx fwd? What would be the biggest rim size that will fit on a Honda CRV 2011 without the tires rubbing while making turns. Looking to get rims for new family vehicle. Hello, I have a 2000 Honda CRV and I'm trying to figure out what type of wheel that I need. The wheel doesn't have spokes in it but has 8 reverse triangles. The size of tire is a P205. I hope this helps. needing rims for my 06 CRV but cannot find on any rim the offset size. Any other way to tell what MM I need? 45 or 50 or 55? Hi，Johnnie,It can't fit for.Too big size. Hi I have just purchased toyota TRD 2015 model standard 18 inch if I put 20 inch alloys on will it affect the ride much or will I benefit ? Hi,David,Can you show me your tire size or wheel size? Hi,David,If you want to change your tire to a larger size,you need to increase your wheel size.But your current wheel size is enough big,So,you can change another 19'' tire.how about 255/30/r19?.for front and rear.it can increase your true speed. 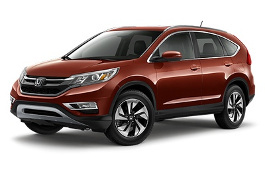 can 2015 honda crv 17 in rims fit a 2014 honda crv? THE SHORT IS no ! Front tires well rub case it point . will fit the 235/45R18 to honda CRV 2015? My honda crv 2003 has a slanting rear tire mount, is this normal? Hi,gino borromeo,“slanting rear tire mount”Can you explain it? I want to change my stock rim and tires of my honda crv 2003.What is the best size of rim and tire does best fit on crv 2003? Hi,Joms,225/60/16 and 16*7.5 can fit on honda crv 2003.Do you want modification? Hi. 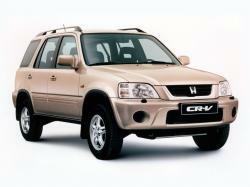 I have 2004 honda crv. Original rims are on, not sure what size they are, but tires look kind of small. What size of tires i can install without affecting the drive. I like bigger and wider tires. I will keep original wheels but only change tires. Thank you. Would it fit winter tire size 17 on rims that was on a HONDA CRV 2011 ? 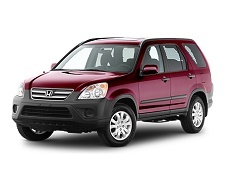 Hi I have a Honda crv 2008 someone gave to me from US. The vehicle uses 225/65 R 17 considering that the vehicle is used in sub Sahara African where there are no snow. Will the tire be fit to use in our region. Hi,Augustus,It is not decided by the tire size,it depend on the tire brand or tire series.If it is all seasons tire,it is ok,But if it is summer tire,It will not work.you need to change snow tire when drive in the snow sky. please advise is 225/65R17 can fit with my CRV 2005 without rubbing? Will a 235 70 16 tire fit on my 04 Honda CR-V? Will a 225 75 16 fit on my 04 crv? Will a 225 70 16 fit? Or a 235 65 16? Will a 225 70 16 fit on a 03 Honda CR-V? Hi, Joe,no,it can not fit for ,Try195/70/16. Will snow tires from a 2014 Honda CRV fit on a 2012 Honda CRV? Hi, I have a 2015 crv. I found a 19 in Acura rims set with same bolt pattern but the offset is 55mm. The crv offset is 45mm. The installed tires spec is 245x55x19. Will this set fit my crv? Thanks. Hi,tim,The offset difference is little big but you can put a spacer. Will a 215/70 R16 tire fit on a 2005 CRV? Thanks John.... Unfortunately I bought the tires/rims yesterday... I was told by a mechanic that they should fit?? So, there is no chance they will fit then? Hi,Scott,No,it can't fit for.It will rub the mad fender. Hi, Scott! With OEM 18x7J best choice is 225/60 or 235/60. With aftermarket 18x8 ET~40 you can run with 255/55 or 265/55. Just wondering if Mazda CX-9 whell 18x7,5 ET45 will fit 2014 Honda CR-V ? Hi Bob! Yes, it can fit for 2014 CR-V. This cars have the same bolt pattern and offset but different central bore - CR-V 64.1mm, CX9 67.1mm, but this should not be a problem. Oleg! Thanks for info, I guess what I need is center ring 67 to 64 in order to avoid the vibration . Thanks again . Honda rims 4277 SWA A01. I bought these to put winter tires on my 2009 CRV Honda. Will P225/65R17 tires work? Hi will 2003 alloy wheels 205/70/R15 fit a 1999 Honda car-v. This is my options for winter tires, so I am wondering which variant is better, could you give your professional advise? The second variant i wrote wrong! Hi,Stan,Norammly,For one car model,The bigger wheel size,the lower offset,So,For your car,i suggest that you can use ET55. Thank you John :) ! Now i have only one option (215/70/16 61/2JJ ET40), because someone bought the rims (215/70/16 61/2JJ ET55). Could you tell me can I use 215/70/16 61/2JJ ET40 without any problems? Hey, will 215 65 r17 snow tires fit on my 2009 crv? It says 225 65 r17 is reccomended but just wondering if the smaller ones will fit? Hi,Sarah,215/65/17 is also compatible for your car. Hi,David,Yes,you can use 16'' rims,But you need to make sure the steel rims share the same bolt pattern and offset for your car. A friend that works at a tire shop says 235/75 would work, but idk? I’m in the same boat you were. What tire size did you run? Did you end up lifting it? Cheers but I think 205 might be abit of a stretch on the rim as current tyre size is 225 was told 215 45 17 should be ok? What size tyres can i put on my 99crv non 4wd current tyres are 205 70 15 and I have rims 17s with 225 65 17 which are to big for crv need to no correct tyre size to fit the 17s for crv to have enough clearance? Can you change tyre size to 205 size tyre on a rim with 225 65 17 tyres on currently? Just wondering if i can put 235/70r16 tires and rimsfrom a honda pilot on a 2011 crv hat has 225/65r17 on it now. Thank you John, so the offset is ok right? 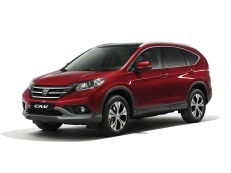 CRV is 50 but HRV is 55. Hi,Michael,Yes.You can use HRV rims with 225/65/17. Hello, I have a 2016 Honda CR-V sport. My previous car was a 2012 Honda Civic. Will my winter rims from my old car (civic) fit the Honda CR-V ? I was hoping to not have to buy another set of winter rims, thank you! Any ideas on the rim specs for the new 2017 CRV? Thanks! The Wheel Specs for 2017 CRV LX should be 17x7.5J ET45. I got this info from the inner bolt of my 2017 CRV rims. So please correct it. Hi, J Liu! Thanks for the info, we have updated data. Will honda accord 17x7.5" ET55 rims fit on my 2013 honda cr-v AWD with 17x6.5 ET50? Will 2017 Mazda CX-9 20" oem wheels fit my 2017 Honda CRV Touring? I have a 2014 Honda CRV EX I have 225/65R17 tires currently on. Would 215/70R16 winter tires that are already on 16" rims fit? Would I have any issues with them? Hi,Jo,The tire is compatible.For the wheels,Does the wheel offset and bolt pattern is same with your current car?If changed,The tire diameter is lower than before,and the speed monitor also needed to updated. Hi,Scott W DeVries,No,they are not compatible. Hi ... I'm driving an 2004 Honda CR-V . Original rims holds 205/70 R15 tires. By accident on a road I destroyed all four rims . Friend of my has 2002 Honda CR-V with the same tires size 205/70 R15 . So my question is , can I use his rims on my car , it's five bolts and fits well on my car ? Have a 2004 cr-v with all wheel drive, How do know what other Honda rims will fit my car? I want to fancy up my steel wheels with something else. Thank you! Tbhi have not brought them as of yet I'm wanting turn it in to a show car would u be able to tell me what tyre size and offset I would need if fitting them. The guy currently has 285/35r22" on them I don't mind getting like a 5 mm spacer but there's also another set I'm looking at tyre on them is a 245/35r22"
Hi I have a CRV 2006 and I want to change my rims snd tires the size is 215/65R16 and my question is does the BR-V 195/60R16 will be okay?. Hi,Jai,No,these two tires are not compatible. Buying a new 2017 CRV LX, comes with the 17" rims. Will my 16" winter tires from my 2015 CIVIC EX fit? Hi i have a 2017 CRV 18X7.5 +45, WILL 18X8 +45 fit? or will the inset be too close to the strut and rub?! Hi,Pete,Normally,+-0.5'' for wheel width is accessible.And if you affraid the inset,You can pay attention to tire width. Can I put 235/65R16 winter tires on a Honda CR-V LX (235/65R17)? I forgot to menti n they are snow tires and the regular tires that it has are 225/65r-17. will honda cr-v 2002 tire fit 2004? Hi,Tim,What that cr-v 2002 tire size?I can help you confirm it. My brother gave my grandson a 98 Buick Regal and he hasn't paid him for the rims that are on it. Will those rims fit on a 2010 Honda CR-V? didn't finish thread- can I use any oem 17 x 6.5 steel wheels from 2007-2014 for winter tire changeover? I have a. 2003 Crv AWD can 225/70/16 work? Hi,Alexander Horwood,normally,the stock car wheel size is 18''.So I think 22'' is too big for your car. Recently I got my CRV 2018 EX which has original 235/60R18. May I use my previous CRV 2016 winter tires (225/65R17)? I recently purchased a 2018CRV with original 235/65R17 tires. Can I use a 255/55R18 without any issues? Hi,Mark,yes. you can use it. 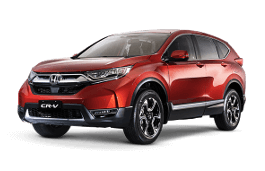 Hi I will soon be getting a 2018 CR-V AWD I already have 225/65/17 winter tyres fitted to Honda alloys which have a +50mm offset the wheels on my new car the wheels have a +45mm offset. My question is will the +50mm offset wheels fit my new car? Hi, Danny S,50mm offset can used for 45mm wheels.And What the wheel bolt pattern?If they are same,You can try it. Hi John, thanks for the reply, yes the bolt pattern pcd is the same. Hi,steve,215/65/16 is not compatible with 225/65/17,but these two car wheels are compatible. Sorry. What I meant was, can I just unbolt the wheels-tires from one and bolt onto the other? And both will drive fine?